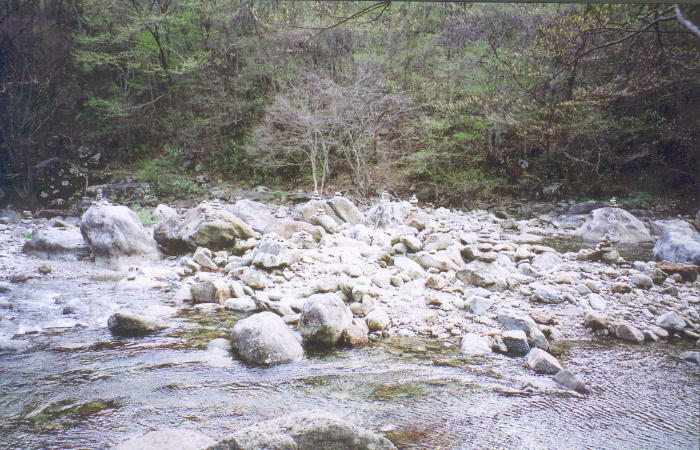 from the Seomjin River running across Jiri-san's southern feet. 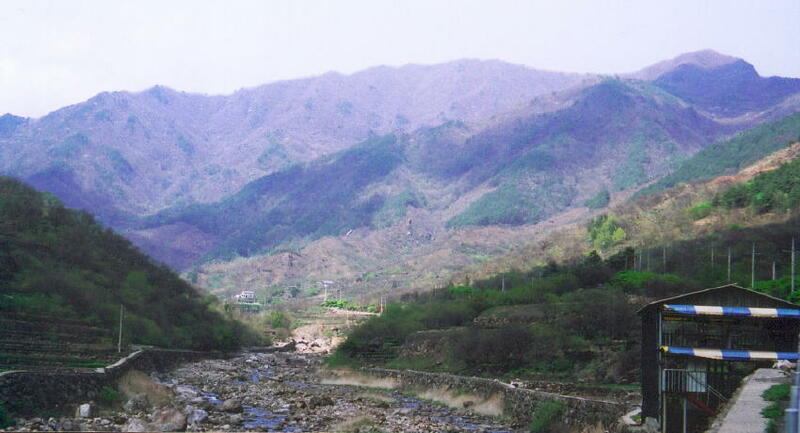 Samdo-bong is seen upper-right. 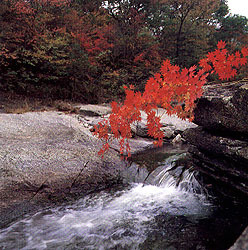 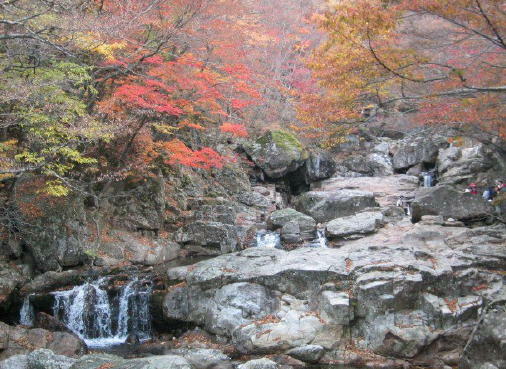 "Piagol" is the title of a 1955 South Korean movie set here, written and directed by Lee Kang-cheon. 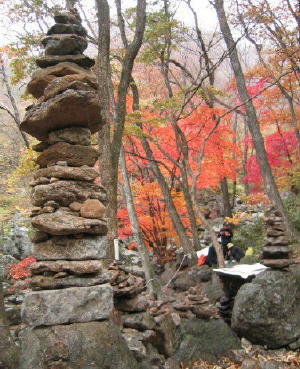 rush past white rocks on which Koreans have built many small dol-tap [stone pagodas]. 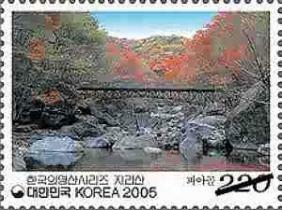 is always very crowded with visitors from all over Korea.